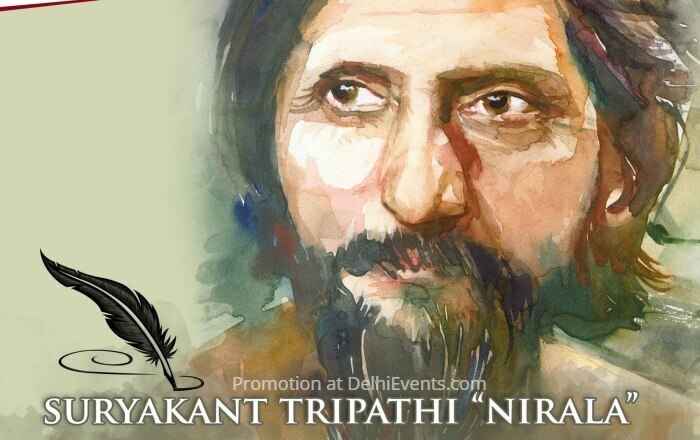 Event Description : THEATRE 'Nirala' Hindi Play based on extraordinary poet Surya Kant Tripathi ‘Nirala’. A poet’s art never dies. Whenever we remember his poems or recite his poetry, he comes alive. The play ‘Nirala’ is inspired by the life of the extraordinary poet Suryakant Tripathi ‘Nirala’.